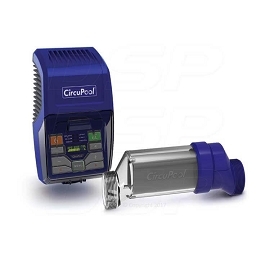 The CircuPool VJ-2 programmable two-speed saltwater pool pump is an excellent replacement for traditional & inefficient single-speed pumps. You don't need a saltwater pool to enjoy its benefits, but the VJ-2 is built to last and certified safe for use with salinity levels up to 5000 ppm. Its energy-efficient motor and programmable controls allow you to save big on energy consumption and utility costs throughout the year! German-engineering gives it incredible durability, superior performance, and quiet operation. Beyond its low-cost, environmentally-friendly operation, it has an all-composite, self-priming pump that also sets standards for the future by using 100% recyclable plastics, which benefit the consumer and environment. 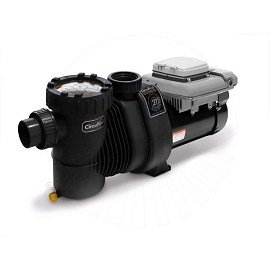 The VJ-2 is a perfect match for most residential pools ranging from 10,000 to 25,000 gallons. I really like how quiet it is, I'm definitely seeing lower electricity bills, and I like the timer and controls. It doesn't have any way to send power or a signal to your heater or your sanitizer system though, so I had to use a separate timer for those. I don't know if it exists, but it would be great if it had some kind of socket or relay on it for other equipment. My pool is pretty easy to take care of but I went to this upgrade to save monty. I did not really understand it until I read the instructions so take my advice and don't wing it. Looks well built and barely makes any sound at slow speed. Great product. Has a nice screen and easy to understand controls. I have mine programed to turn on every night when my rates go down. This pump has been outstanding. I run it on low all day and my bill actually went down. Another bonus is how quiet it is. Q: What is the power usage at high and low speed? A: That is a great question, however exactly how much power it uses depends on a few factors and is truly unique to your pool. 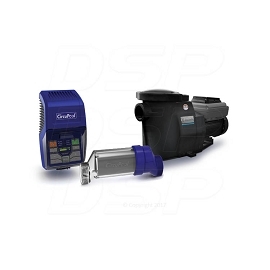 It uses an ultra-energy efficient 2EZ Speed Programmable Pool Motor from Nidec / US Motors. They have an energy / savings calculator you can use (see link below). Under "Motor Spec." choose the 1.5 hp option, enter your state or actual Kwh cost, your usage details, then click calculate. You can also enter your pool details to see how to optimize efficiency. Q: What is the difference between the VJ-2 and VJ-3 pumps? A: The VJ-3 is 2.7 THP compared to the VJ-2 at 1.5 THP, so it can more circulate the pool water with even greater efficiency and also hand larger pools. The VJ-3 is also variable speed, so when you program the times for it to run you can also fully control the RPM's in 5% increments for complete customization. The VJ-2 is a two-speed pump, so instead when you program the times for it to run, you can choose the low or high setting. 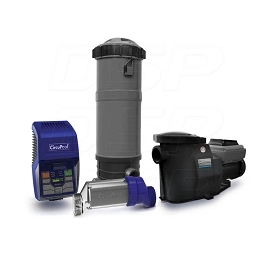 The VJ-3 also has the ability to control your saltwater chlorinator, which is a plus. Q: Do I need a swimming pool controller or external timer to use this pump? 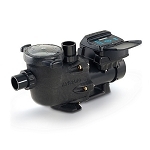 A: No, unlike some other two-speed pumps, the VJ-2 has a built in controller. 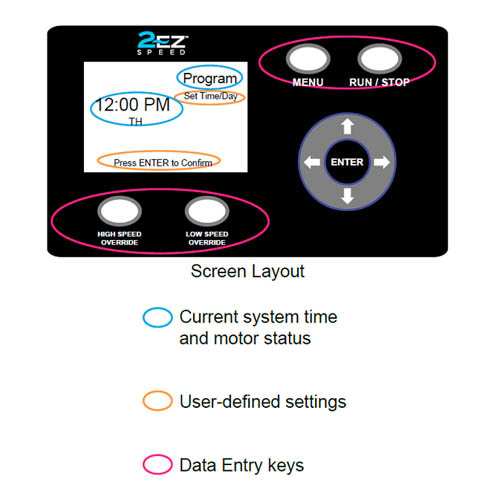 It has an LCD display screen where you can program the times and speeds using the keypad buttons. Q: what is the maximum distance the pool can be from the pump using 1.5" piping on an above ground pool? 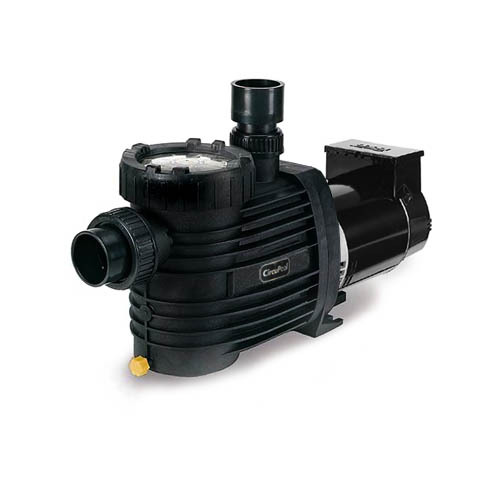 This high performance, medium head pump comes complete with a unique mechanical shaft seal that allows the pump, if mistreated, to run dry for up to one hour. The VJ-2 is salt-certified. 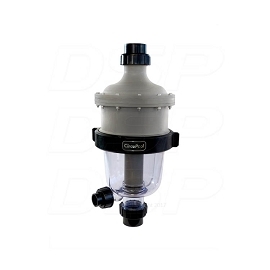 The pump can be used for pool water with a salt concentration of up to 5000 ppm. Uses state of the art EcoTech 2EZ energy efficient pump motor for extra low energy consumption and decreased operating costs. Equipped with digital controls, with separate weekday and weekend programs. Freeze Protection feature. High and Low Speed overrides. Two year warranty on all parts including normal wear of the mechanical seal. Every pump is performance tested before leaving the factory. 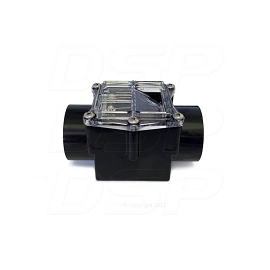 Plumbing Type: 2" / 1.5"
Manufacturer 2 Year Warranty. All warranties offered are provided by the relative manufacturer and are limited to the terms and proration they provide. See manufacturer's documentation for a full description of warranty terms and conditions.